The trial over Oleksandr Avakov, the son of Minister of Internal Affairs Arsen Avakov, is underway at the Solomiansky district court of Kyiv.Many people arrived at the court for the hearing, including some MPs and people wearing camouflage uniforms. Their involvement in the law enforcement is unclear. The prosecution asked for a preventive measure constituting a 2-month detention with a possibility of $186.000 bail. The prosecutor pointed out that, according to their expertise, the cost of one backpack is 555 UAH ($20), while based on the results of the tender procurement they were bought at almost 3.000 UAH ($111) per one. 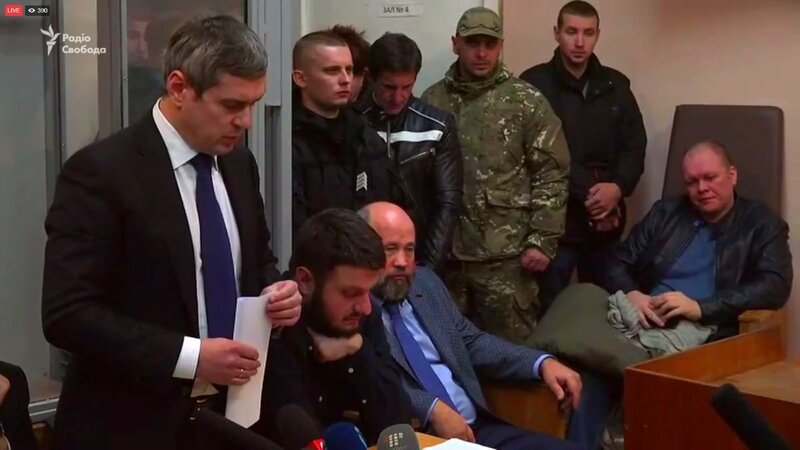 The lawyers, however, ask to recognize the detention of Oleksandr Avakov as unlawful.